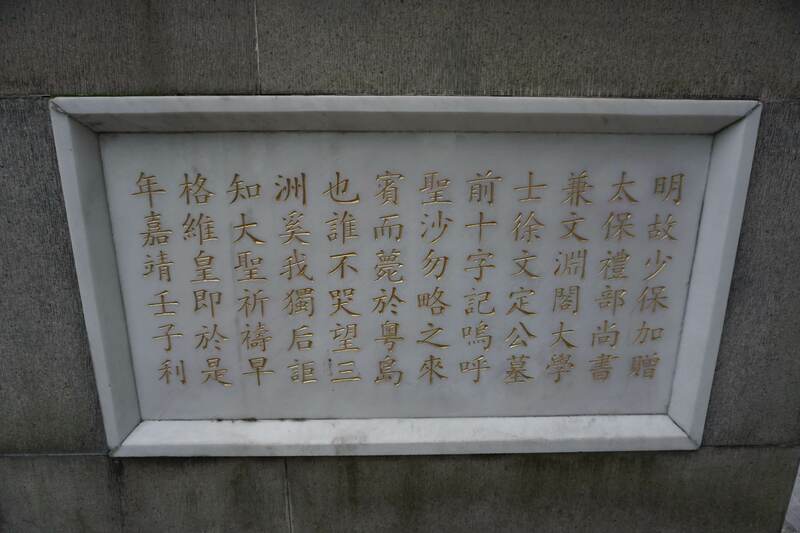 Xu Guangqi is buried in this tomb inside the park of Xu-Guangqi-Memorial-Hall in Shanghai. 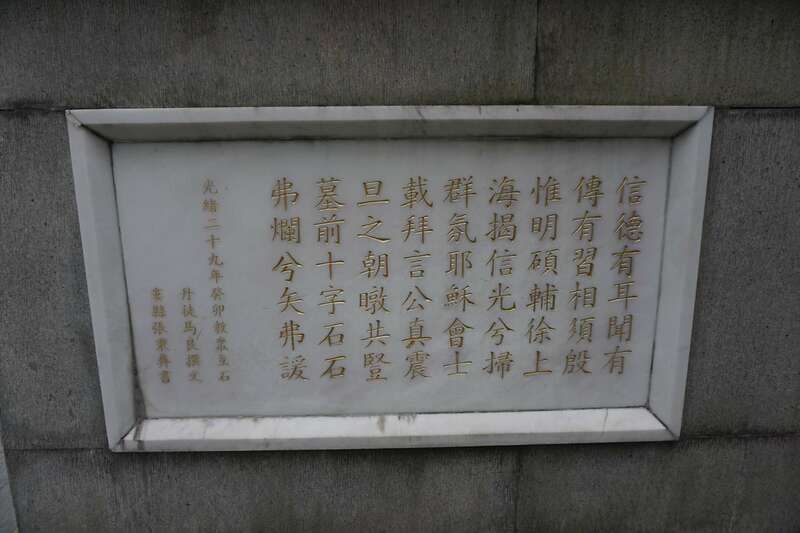 The tomb is composed by ten vaults which house the remains of Xu and his wife Madam Wu as well as his four grandsons and their spouses. 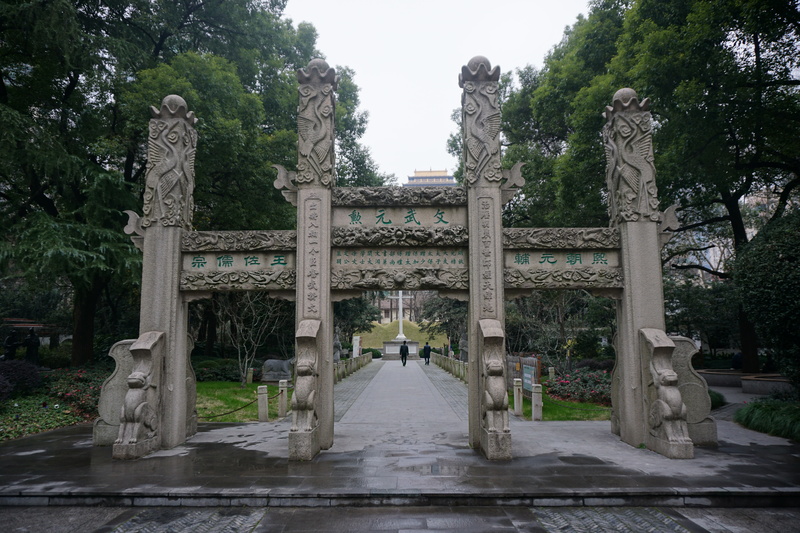 According to the Ming Dynasty's burial traditions, the graveyard has a "sacred road" leading to the memorial archway. 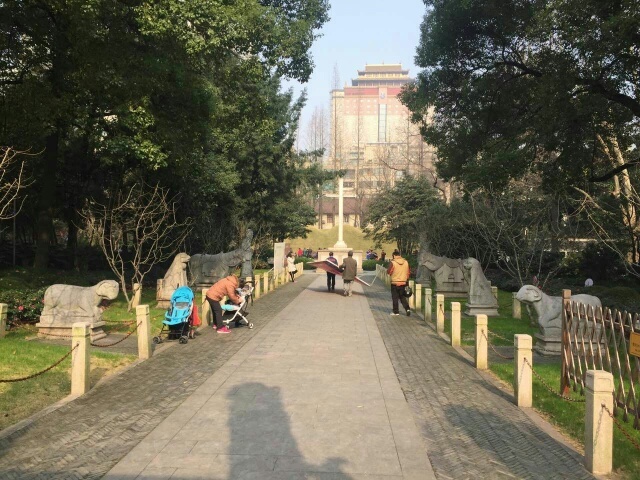 Along with tombstones and decorative columns, the road is lined up with pairs of statues depicting soldiers, horses, tigers and sheeps. 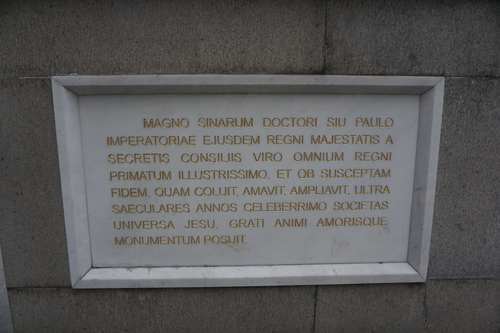 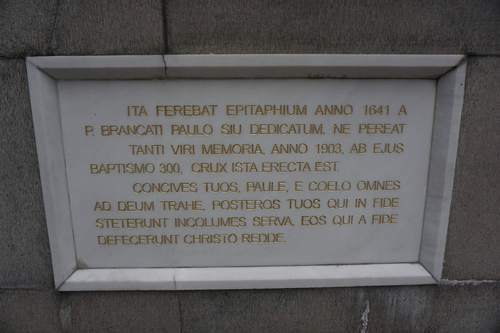 Downside the tomb there are four incisions (two in chinese and two in latin) reminding Xu's personal story and his conversion to Catholic religion by adopting the new baptismal name of Paul. 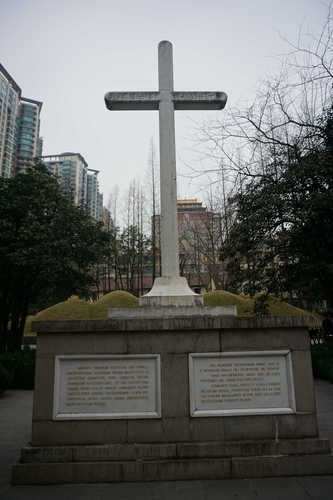 In 1998 the graveyard was listed by the State Council as a national historic site for a special preservation.